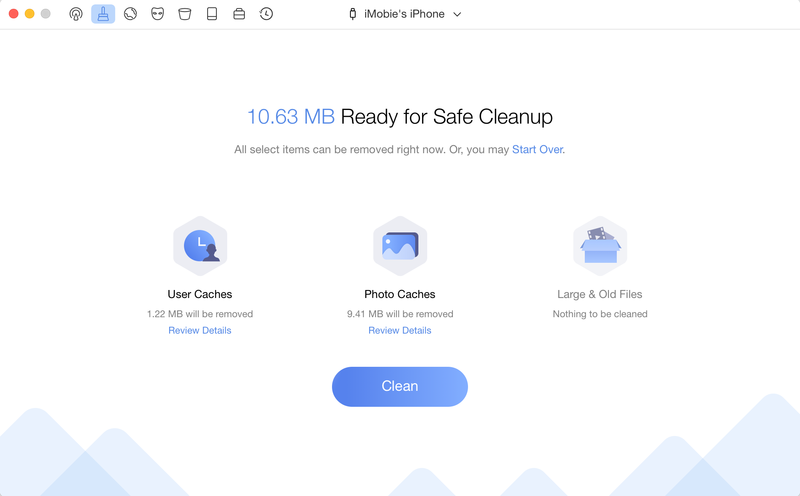 Quick Clean helps clean junk files associated with Apps, Photos, Videos and Temp for your iOS devices. Please refer to the following guide to make good use of Quick Clean. 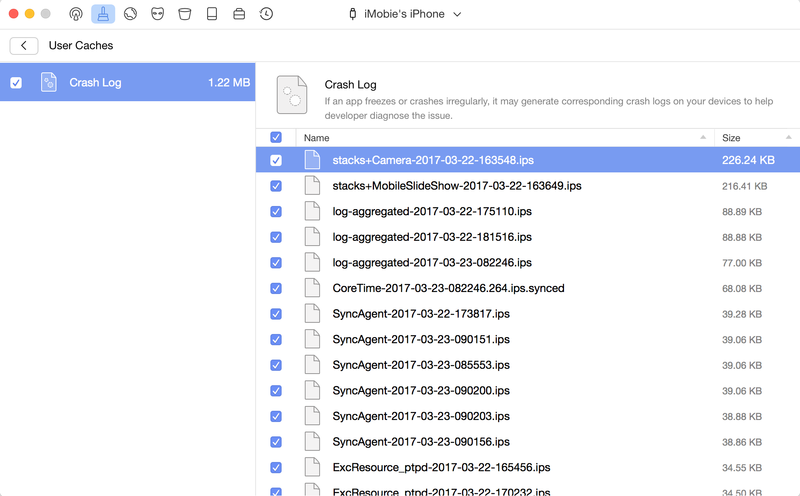 Check the junk files that Quick Clean supports to clean under different iOS versions. 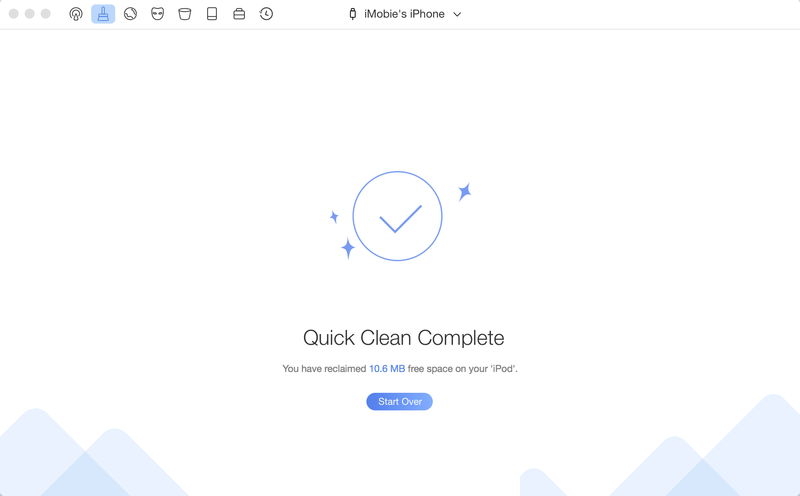 By default, PhoneClean will detect your iOS device. If you don’t connect your iOS device to computer or your iOS device is not recognized, you will view "No Device Connected" on the interface. Once your iOS device is recognized, the interface below will display. 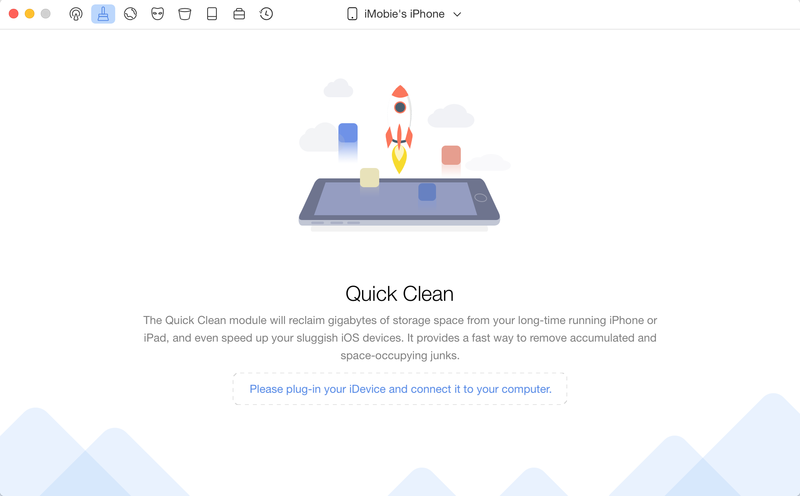 PhoneClean supports multi-devices connection. You can check which iOS device is ready to be cleaned on the interface. 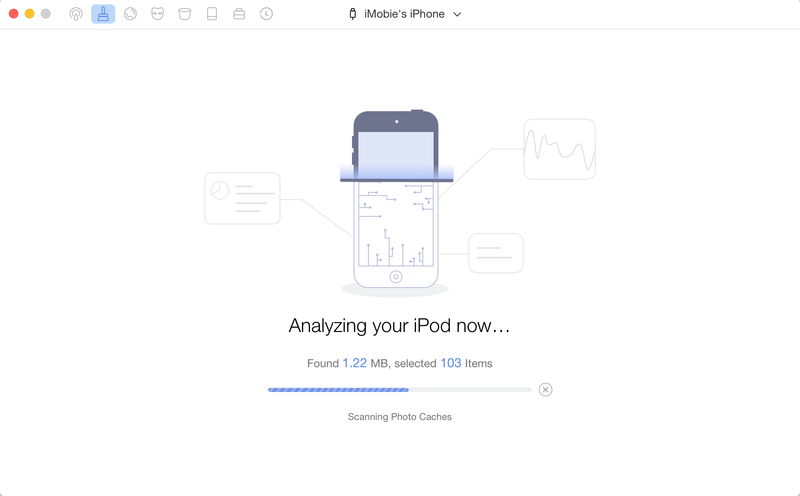 If PhoneClean fails to recognize your iOS device, you may try these troubleshooting steps to solve this problem. The interface of analyzing iOS device will display after clicking Scan button. You can abort the process at any time by clicking the button. Meanwhile, the analyzing time varies based on the size of junk files. Please keep patient. When the scanning begins, please keep your device connected and wait until the process is complete. When the scan process completes, the total amount of junk files will be displayed. To keep files you may need, you can click Review Details to view all scanned files before cleaning. You can choose file you want to clean by checking the box in front of it. You can also untick the box if you don’t want to clean the file. To go back to the previous page, please click button. 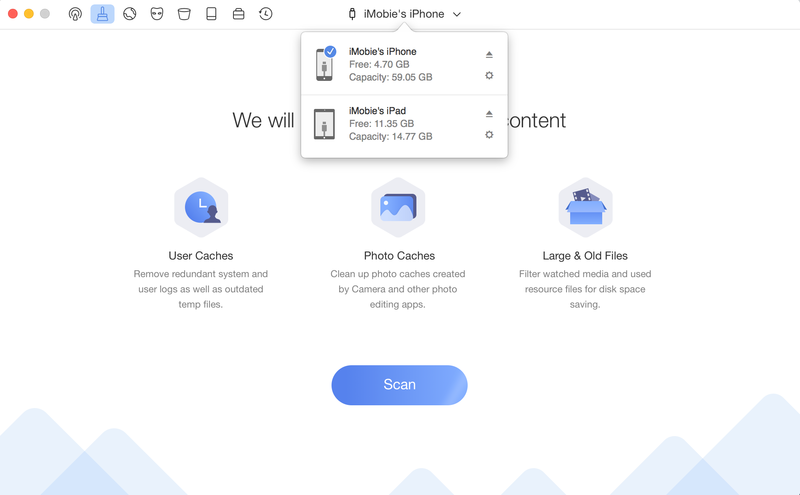 Click on Clean button to free up your device's space after finish checking. The time of cleaning junk files changes depending on the size of them. To ensure that the junk files are cleaned up totally, please keep your device connected during the whole process. Once cleaning process completes, you will see the Complete screen. You can click Start Over button to return to the main window.